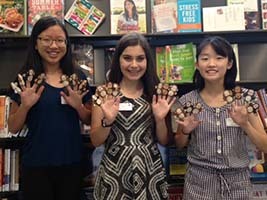 Together, this teen trio has created countless puppets, story-board characters made from felt, and art projects for the Castle Pines youth librarians. They work independently, create their own patterns, and create beautiful works of art. They are truly creative and make every piece as special as they can. Metro Volunteers’ “Heart of Volunteerism” award goes to volunteers Mary Ellen and Kate Thurston! The award seeks to honor exceptional volunteers, celebrating the power of the individual to change our communities. Mother Mary Ellen and daughter Kate have volunteered at Douglas County Library in Lone Tree since 2014 helping with shelving and special events. 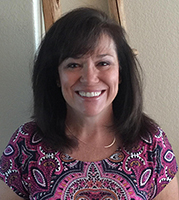 This year’s Colorado Association of Libraries’ (CAL) Outstanding Volunteer Award will be awarded to DCL volunteer Tammy Fross. Tammy volunteers primarily at the Lone Tree and Castle Rock branches, however she also helps at other branches when needed. Volunteering since 2013, she has contributed more than 1,000 hours of volunteer time to Douglas County Libraries. Her primary focus has been volunteering in the Second Chapter bookstores, putting affordable books into the hands of patrons to keep at their homes. Tammy Fross receives the prestigious annual CAL award honoring a volunteer in our state who contributes outstanding service to our libraries.